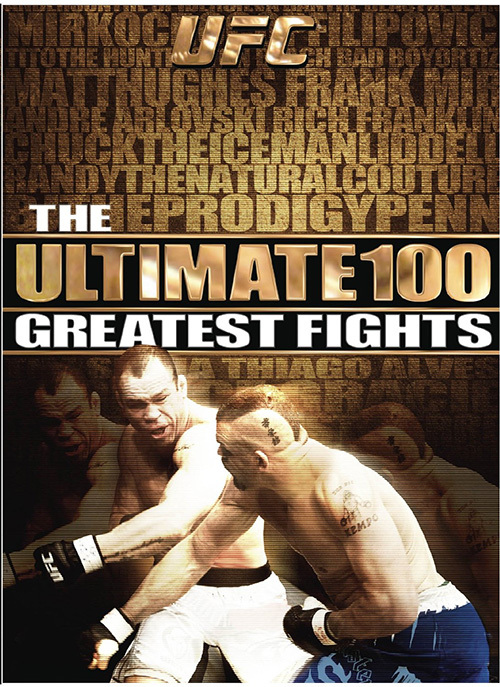 The UFC Ultimate 100 kicked off last night with the first 25 fights as voted on by you, the fans. Starting the countdown with Paul Kelly vs. Paul Taylor, I was a bit surprised that this one didn't end up higher on the list, but as we pushed forward and relived fights like Hughes-Gracie, Penn-Uno and Liddell-White, it started to put things in perspective. Since 1993, there have been a lot of epic battles and if this countdown -as we approach UFC 100- doesn't get you amped up, then you might want to check your pulse and coordination skills because you could be a zombie regenerated from a human corpse on a mission to take over the planet. Standing out among the first 25 for me has to be Serra vs. GSP I. Like every red-blooded American, I love the underdog/upset combo and so close to July 4, this one might have had a little extra spicy mustard. "When I had George in trouble, I stayed calm and I picked my shots and I chose where to hit him and it worked out great," Serra recalled. It sure did work out great, for Serra and for all of us who got to witness one of the greatest upsets in mixed martial arts history. GSP's response, however, is almost as inspiring, "I just tried to survive and get out. I tried to still exchange with him even though I couldn't stand on my feet. I was very dizzy," he told the camera, looking back. "And I learned from my mistake," he said with a crooked grin across his face. It's this attitude and insight that makes him so great and in turn what made Serra's victory so great. Of course, GSP eventually avenged his loss to Serra and has yet to drop another bout since, some of which will appear later in this countdown among other classics like Gracie vs. Gordeau Evans vs. Liddell, Mir vs. Nogueira and the monumental Lesnar vs. Couture -all to be seen in the very next installment Monday night at 9. BIRTHDAY: Happy Birthday Dan Inosanto!